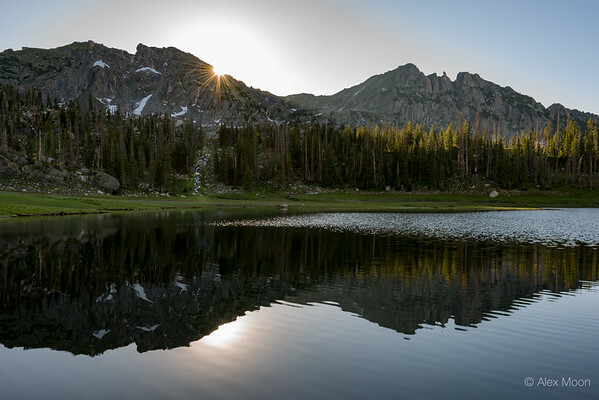 The sun rises over the Sawtooth Range in the Mt. Zirkel Wilderness. 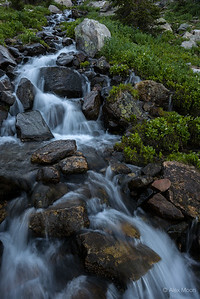 A mountain stream cascades towards Mica Lake in the Mt. Zirkel Wilderness. 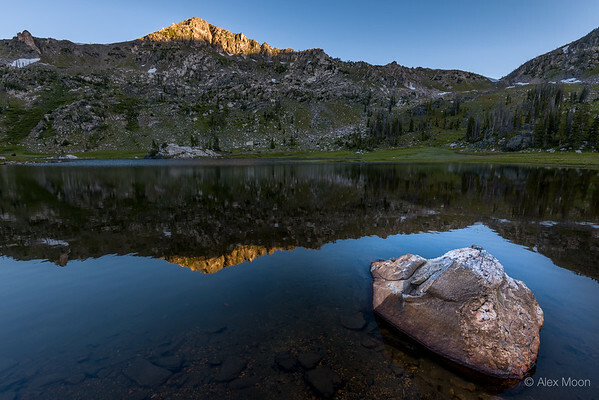 Dawn touches the peak of Little Agnes above Mica Lake in the Mt. Zirkel Wilderness. 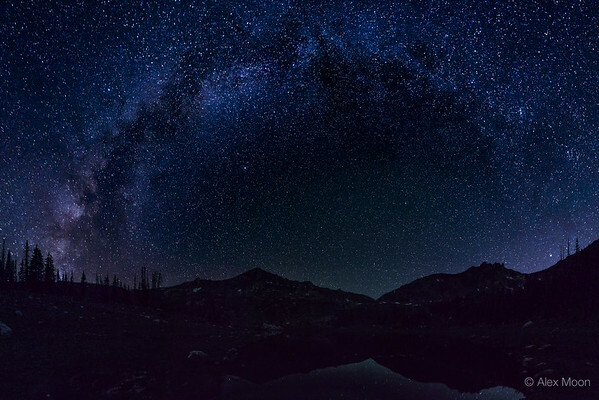 Little Agnes and Big Agnes peaks reflected in Mica Lake seem small under the immensity of the Milky Way. Mica Creek winds towards the peaks of the Mt. 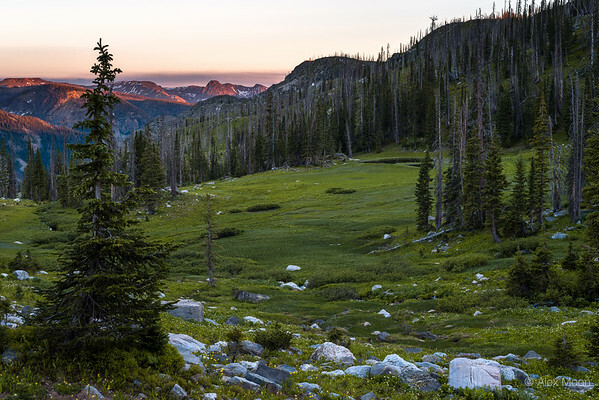 Zirkel Wilderness, bathed in alpenglow by the setting sun. 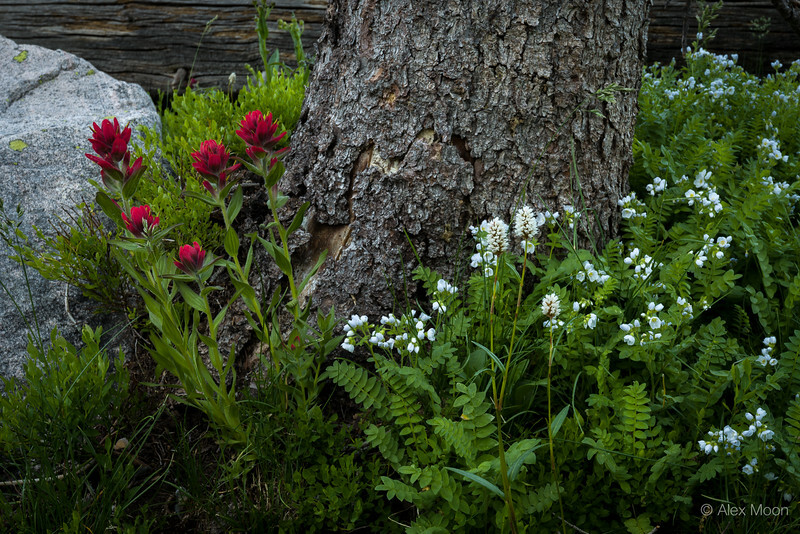 Indian Paintbrush and Alpine Bistort cluster at the base of an old Spruce tree in the Mt. Zirkel Wilderness. 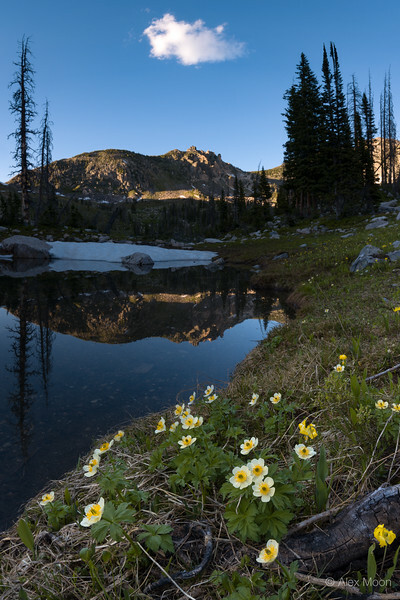 Globeflowers and Glacier Lilies dot the shore of a pond below Big Agnes. 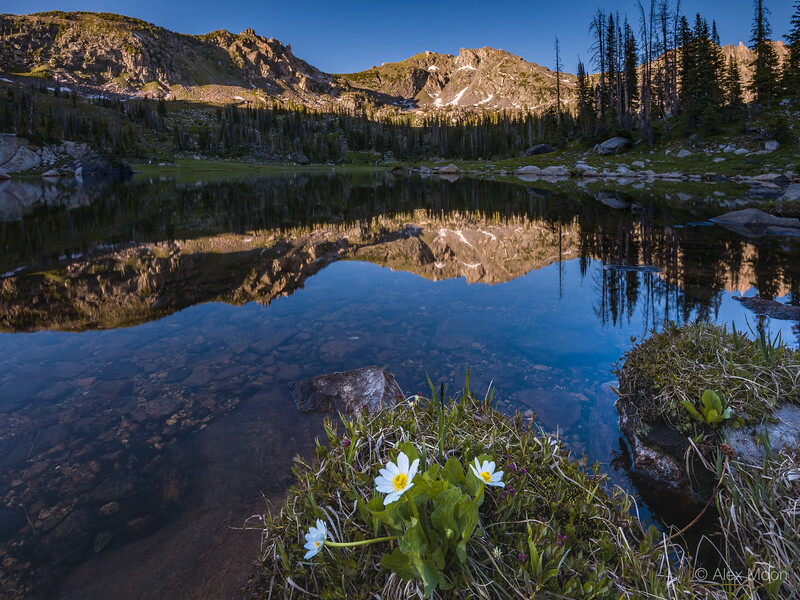 Marsh Marigolds bloom along the shore of Mica Lake beneath Big Agnes. 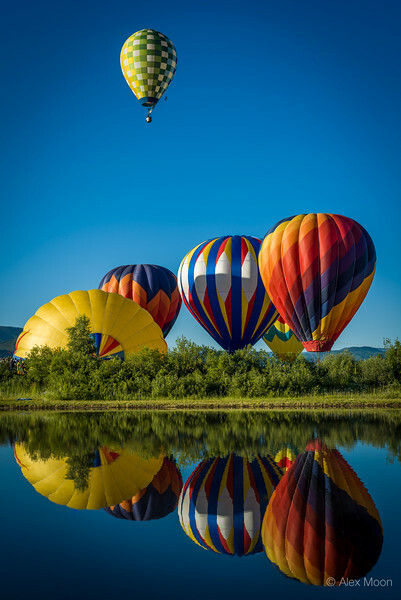 Hot air balloons get ready to fly just outside Steamboat Springs, Colorado. 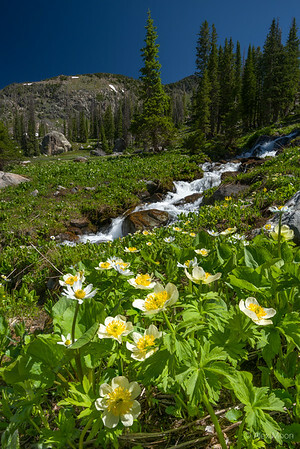 Globeflowers bloom along a mountain stream cascading down to Mica Lake below Big Agnes peak. 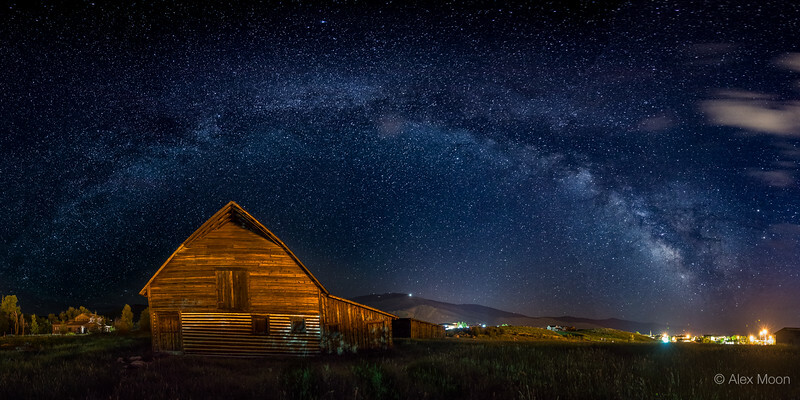 The arch of the Milky Way encompasses the More Barn and Mt. Werner in Steamboat Springs, Colorado. 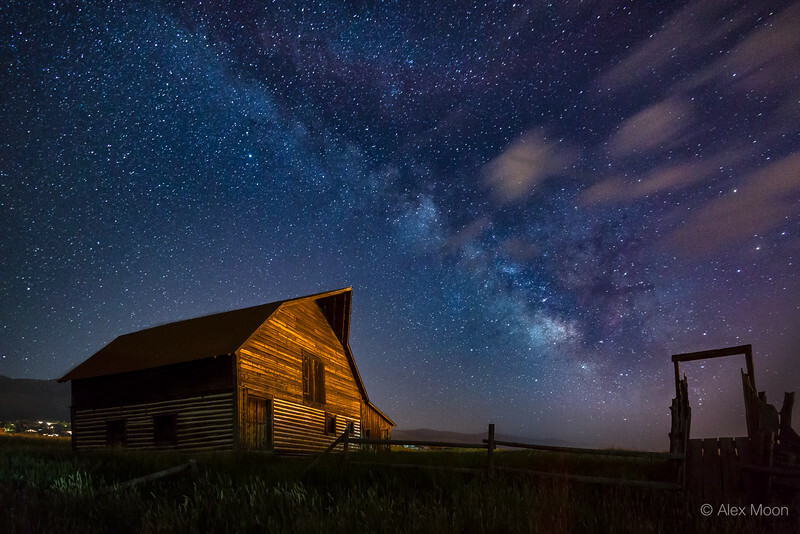 The More Barn stands silently below the Milky Way in Steamboat Springs, Colorado. 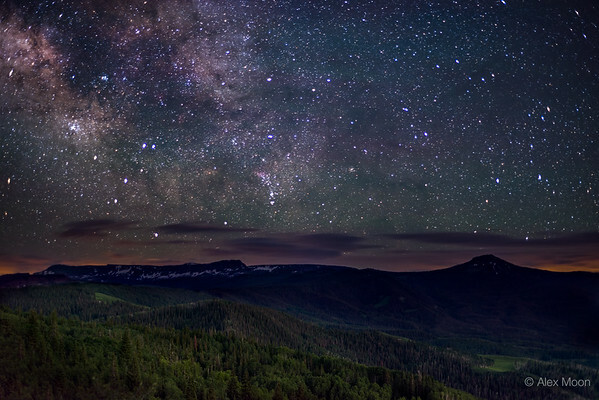 The galactic core hangs above Orno and Pyramid Peaks in the Flat Tops Wilderness, Colorado. 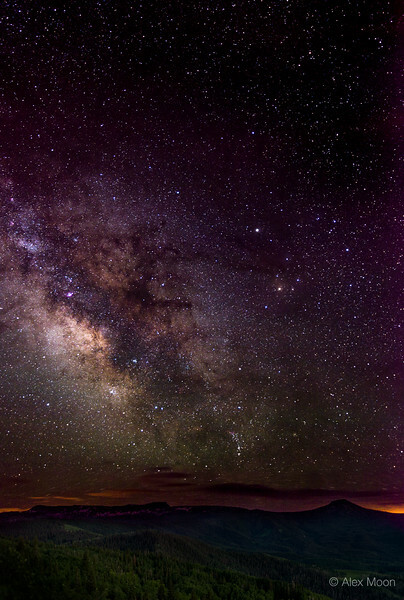 The galactic core seems to touch Orno Peak in the Flat Tops Wilderness, Colorado. 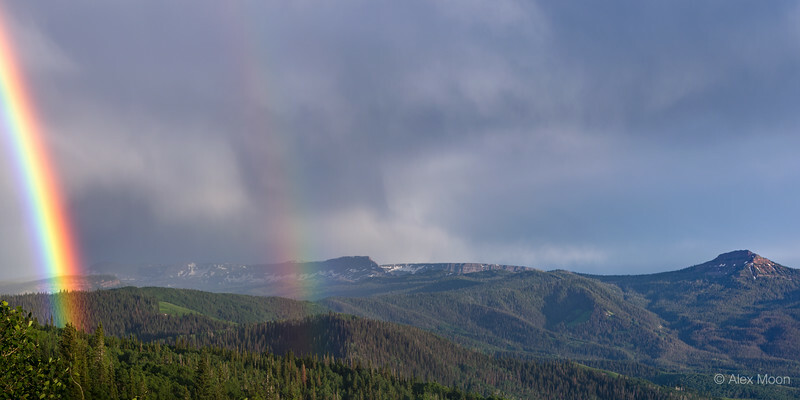 A double rainbow appears opposite Pyramid Peak in the Flat Top Wilderness, Colorado. 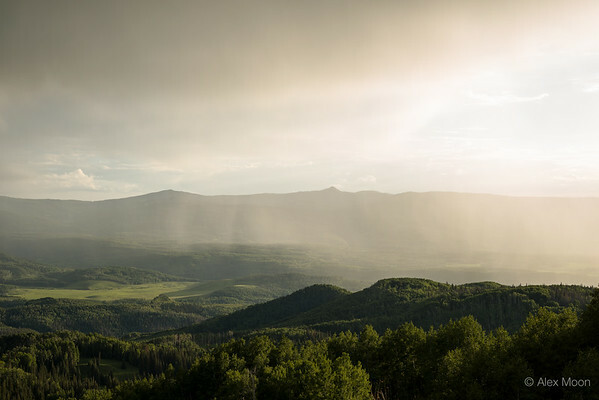 Backlit rain sweeps across the Flat Tops Wilderness in Colorado as the sun sets in the west. 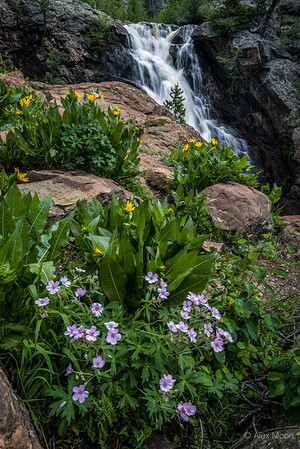 Wild geraniums and mules' ears bloom near Upper Fish Creek Falls in Routt National Forest, Colorado. 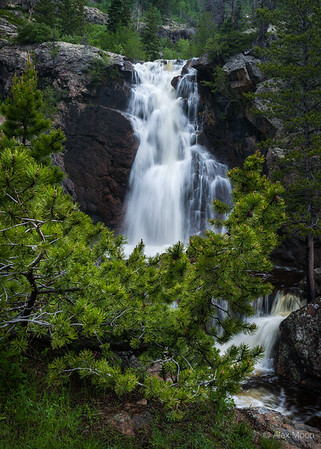 A pine shrub seems to cradle Upper Fish Creek Falls in Routt National Forest, Colorado. 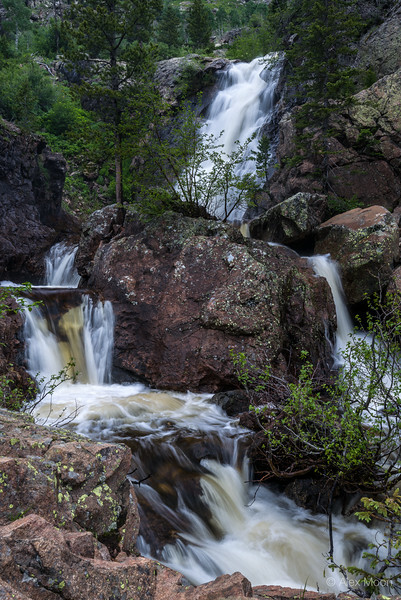 July's fast melting snow creates raging torrents over the rocks of Upper Fish Creek Falls.